We are a full-service, locally owned and operated billboard company based in York, Pennsylvania. We provide coverage in York and Adams Counties in Pennsylvania; and Cecil and Kent Counties in Maryland. A full-service Insurance agency offering Health, Dental, Vision, Life, Short & Longterm Disability and Voluntary programs for both Businesses and Individuals. Beyond Law. When youâ&#x20AC;&#x2122;re working toward a goal and dealing with the unknown, you want the right direction. Collaborate with an engaged team of legal professionals that think beyond law. This is how we advise. Partnering with Christian parents to provide a Christ-centered education for students age 2 through Grade 12. Columbia Gas of Pennsylvania delivers clean, affordable and efficient natural gas to approximately 430,000 customers. With headquarters in Canonsburg, Pennsylvania, it is one of NiSource™s seven regulated utility companies. OVER 30 YEARS of strengthening our community. ATTENTION EMPLOYERS: Take the STRESS Out of the Hiring Process. Apply Online at www.expresspros.com/yorkpa Check Out Our Referral Bonus Today. Design Build Mechanical Contractor / Commercial, Industrial, Residential, Service and Installation. HVAC, Plumbing, Electrical, Generators, Boilers, Certified Welding, Water Treatment, Controls. Deer Creek Electric â&#x20AC;&#x153;The Buck Stops Here!â&#x20AC;? engage in manifesting change all while creating resilient businesses in the community. We are your hardscapes specialist. We install retaining walls, freestanding walls, paver patios & walkways, columns, pergolas, outdoor lighting and more! See our website or Facebook page for more info. Photography by Jim Phipps Jim Phipps 2570 Springwood Road York, PA 17402 717-741-0259 phippsphotography@comcast.net Specializing in on site photography for events, business & non profit organizations. Piccone IT provides businesses with reliable and competent computer services that significantly minimize any network problems before they cause downtime and lost revenue. We establish partnerships with every business that works with us, making our approach to IT services unique. By fully understanding how your business operates, we are able to implement and support IT solutions that make sense for your business. Specializing in commercial paving, stormwater management, concrete work, infrastructure improvements for utilities, sink hole remediation, retaining wall construction and recreational paving for walking paths and sports courts. Southern York Living Jake Schultz 5528 Woods Road Stewartstown, PA 17363	410-603-4458 jschultz@bestversionmedia.com Personalized Community Magazine Serving Southern York County "Social Media in Print Form"
Stock and Leader, Attorneys at Law Jody Leighty 221 W. Philadelphia Street York, PA 17401 717-846-9800 janderson@stockandleader.com Stock and Leader is a regional law firm offering legal services within practice areas pertaining to business, government and personal sectors. Thank you for voting ASY the Best in York for Tax Service. The Markets at Shrewsbury Alicia Herbst 12025 Susquehanna Trail S Glen Rock, PA 17327 717-235-6611x100 aherbst@marketsatshrewsbury.com Fresh Local Produce, many eateries, on-site Amish Bakery, gift shops. Indoor and outdoor Amish made furniture. Lots of Events! We deliver the fast, professional service of a large firm with the personal attention of a family member. Open year-round, The Markets at Shrewsbury offers fresh produce and meats, healthy salads, unique gift shops, many eateries including PA Dutch cooking, BBQ, sandwiches made with freshly baked bread, Fresh Poultry, on-site Amish bakery, bulk foods, raw milk and so much more! 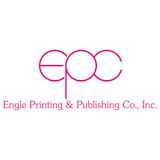 Visit our website for customer coupons and special events throughout the year! (1 per customer) Not valid w/any other offers. Expires 12/30/19. Not valid w/any other offers. Expires 12/30/19. Ground Beef (80/20), get 1 lb. Buy 1 Pint, Get 1 FREE! coupon at time of purchase. Expires 12/30/19. Hand crafted vinyl and wooden sheds, gazebos, lawn furniture, swing sets, horse barns & more! *at Shrewsbury Market location only. *of equal or lesser value. Not valid w/any other offers. Exp. 12/30/19. Not valid w/any other offers. Previous sales excluded. Must present coupon. Exp. 12/30/19. Solid Hardwood Dining & Bedroom Furniture, Entertainment Centers, Bookcases, Computer Armoires & Tables, Curio Cabinets, Desks & So Much More! ANY PURCHASE OF $ 30 OR MORE. 12 Oz. Juice Must present coupon. Not valid with other offers or specials. Expires 12/30/19. Exp. 12/30/19. One per customer. Not valid w/any other offers. 8:30am - 4pm • All day auction! with purchase of Medium or Jumbo Fry Not valid w/any other offers. Exp. 12/30/19. At Shrewsbury Market location only. Thank You for your Loyal Business! Waddell & Reed Patrick Barry 220 St. Charles Way York, PA 17402 717-600-0315 pbarry@wradvisors.com Provide premiere financial services through a personalized financial plan tailored to your unique financial goals, objectives, and concerns. York County Economic Alliance Kyle Joines 144 Roosevelt Avenue, Ste 100 York, PA 17401 717-771-4584 kjoines@yceapa.org The York County Economic Alliance provides chamber and economic development services. Winners at Protecting Your Environment Family Owned & Serving the Southe rn York County Area for Over 40 Years! Large enough for professional service. Small enough for personal care. â&#x20AC;˘ H.O.P.E. is just a nonprofit organization dedicated to providing free, much-needed support and assistance to cancer patients and their families. â&#x20AC;˘ Currently, patients and families struggling with cancer can make use of the following programs and services: resource library, monthly newsletter, food pantry, hats/ wigs/scarves, meal assistance, transportation, hospital equiment and support groups. The SYCBA meets the second Tuesday of each month from 11:30AM-1PM at a member location. Please visit SYCBA.com for the latest events, news and meeting locations. 65 N. Highland Drive | Shrewsbury, PA 17361 Open Everyday 10 A.M.-5 P.M.
WINTER HOURS: Fri./Sat./Sun. 8am-8pm Mon./Thurs. 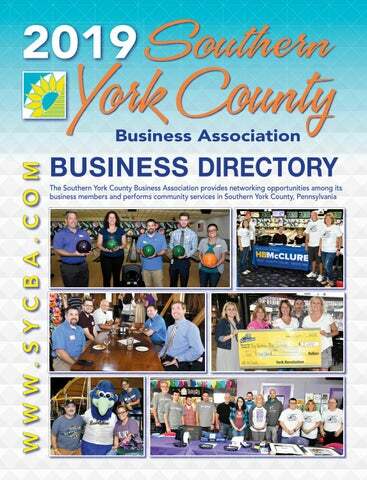 8am-5pm CLOSED Tues. & Wed.
Do you want to find out more about the Southern York County Business Association? Visit our web site at www. sycba.com or better yet come join us for a meeting! They are held once a month at various locations in Southern York County. Have lunch and network with other business professionals. lizing a wide array of natural and organic products.